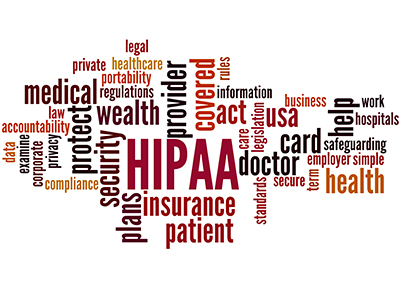 HIPPA is a regulation designed to protect personal information and data collected and stored in medical records. The Health Insurance Portability and Accountability Act established a national standard to be used in all doctors’ offices, hospitals and other businesses where personal medical information is stored. 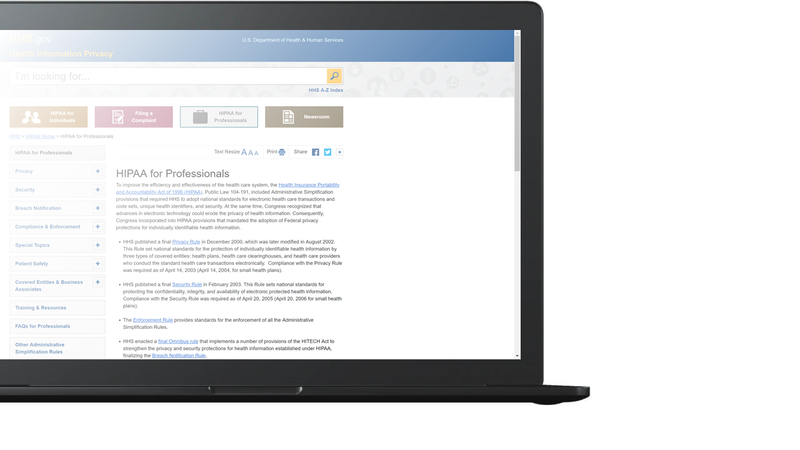 To improve the efficiency and effectiveness of the health care system, the Health Insurance Portability and Accountability Act of 1996 (HIPAA), Public Law 104-191, included Administrative Simplification provisions that required HHS to adopt national standards for electronic health care transactions and code sets, unique health identifiers, and security. At the same time, Congress recognized that advances in electronic technology could erode the privacy of health information. Consequently, Congress incorporated into HIPAA provisions that mandated the adoption of Federal privacy protections for individually identifiable health information. In 1986, Congress enacted the Emergency Medical Treatment & Labor Act (EMTALA) to ensure public access to emergency services regardless of ability to pay. Section 1867 of the Social Security Act imposes specific obligations on Medicare-participating hospitals that offer emergency services to provide a medical screening examination (MSE) when a request is made for examination or treatment for an emergency medical condition (EMC), including active labor, regardless of an individual’s ability to pay. Hospitals are then required to provide stabilizing treatment for patients with EMCs. If a hospital is unable to stabilize a patient within its capability, or if the patient requests, an appropriate transfer should be implemented.